A record amount of rainfall has led to the closure of Australia’s famous national park at Uluru. Northern Territory police told Australia’s ABC Network that up to 25 houses were flooded in the town, near the border with the state of Western Australia. 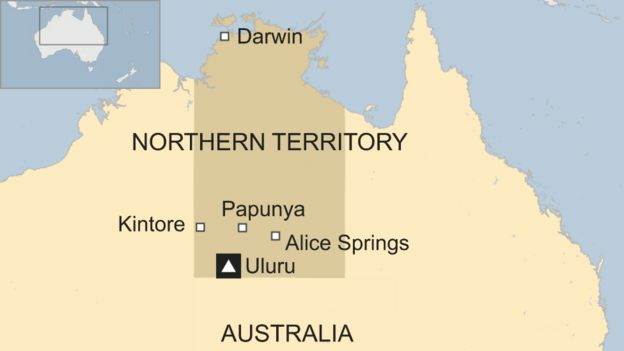 Papunya, another town 250km (155 miles) from Alice Springs, was completely cut off, while the town square of Yulara – the nearest community to Uluru – was inundated. Parks Australia said they were continuing to monitor the situation but it was not yet safe to reopen. “There’s a lot of water … coming off the rock and what that does is just channels across the ring road around Uluru, some of those roads there were flooded by about 300-400mm of rain. Quite spectacular but very hazardous road conditions,” park manager Mike Misso told ABC. Uluru is a large sandstone rock in the outback sacred to the indigenous Anangu people, and one of Australia’s top tourist attractions.